Posts tagged "The Pizza Pizza Box Is A Pizza Box Made Out Of Pizza"
Vinnie’s Pizzeria of Brooklyn brings us the Pizza Box Pizza, yeah get your hand around that. 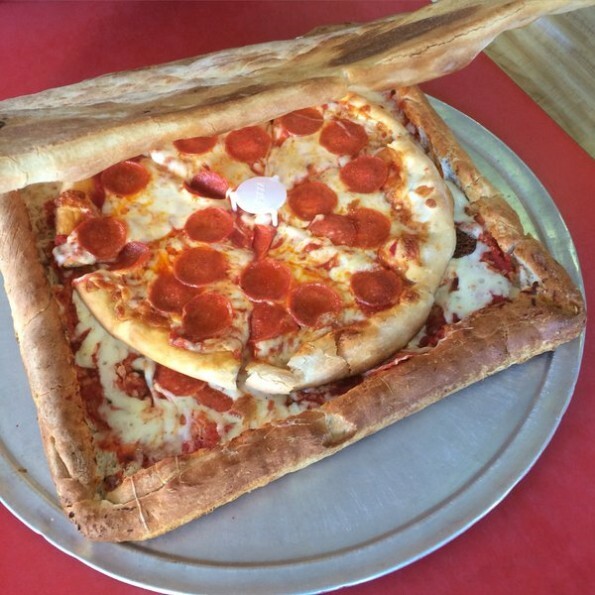 Let me slow it down a little for you – It’s a pizza box made out of pizza. Now when you finish your pizza and you’re still hungry for more pizza, you have more pizza to eat.